If you’ve ever happened upon the boutique at the corner of Southport and Eddy in Chicago there is a good chance that you’ve encountered the force of energy that is the owner Melissa Nelson. Mel, as she’s more affectionately known, is not only the owner of M2 Boutique but stays close to her customers by running much of the day to day ops. While it doesn’t allow for a lot of free time it’s been the right formula to ensure she knows what her loyal customers are looking for and that her store doesn’t lose its friendly, neighborhood vibe. M2 offers a carefully selected array of handbags and accessories as well as unique gifts for any occasion all at refreshingly affordable price points. Weekends and evenings at M2 often mean a promo event including snacks, wine and cocktails and of course beer for the many guys coming in to get help with a gift or patiently waiting on their SO to browse through the store. In full disclosure, I’ve been lucky enough to know Mel for over a decade and to call her a friend. I truly think she came out of the womb working and she’s been hustling it ever since. She’s a natural entrepreneur that runs off of a gut know how and incredible work ethic rather than a traditional business plan. It may not work 100% of the time but for all of the risks she’s taken she has definitely seen overall success. I had dinner and too many glasses of wine with Mel the other night and asked her a few questions. How do you define 'style'? Style is unique to one’s self. It describes you as a person – your personality. It might not be everyone’s cup of tea but as long as you “own it” - then own it! Any type of tassel necklace that can be layered with something else you already own. An initial or name necklace! Those can be worn day in and day out and match everything. Furry teddy bear or puppy dog cross-body bags. I have no idea why this is even happening! I think I feel pretty good about everything I have given away “donated”. Although there are a few things my friends have “borrowed” that I would like back! What have you done today or will you do to make you happy? I am actually meeting with some other business women from Southport to talk about cross-promoting and building our businesses!!!! Well fortunately I haven’t yet experienced the furry bag trend and I think I’m ok with that. I’m also hoping that the ‘borrowed’ comment wasn’t meant for me… gulp! All in all I think most people find M2 to be more than just a shopping experience but rather more like going over to your cool best friend’s house to borrow something for the night, season or maybe forever! 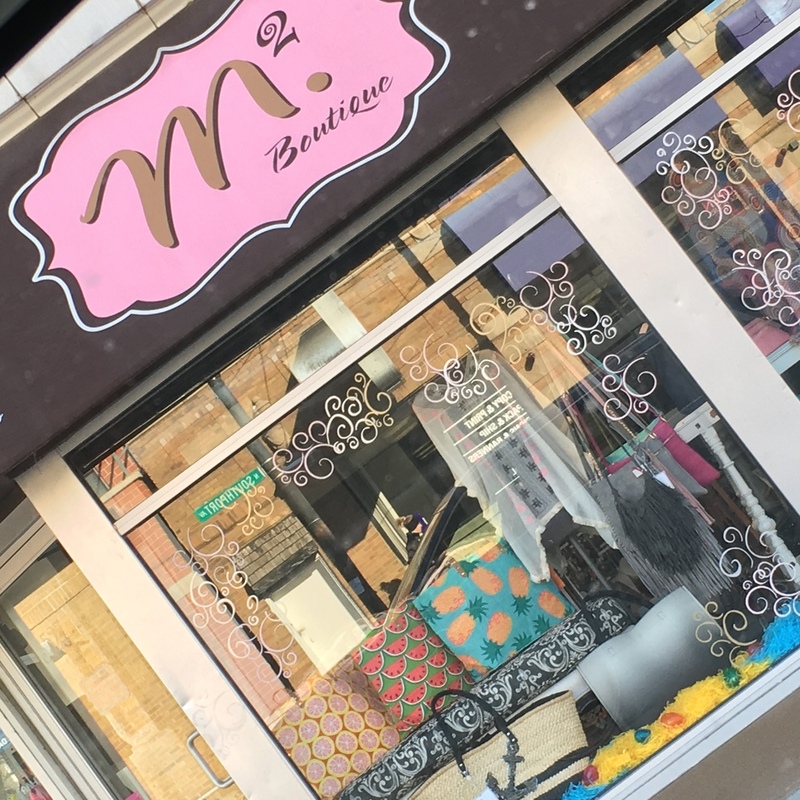 If you haven’t been there and are in Chicago, stop by and see for yourself – 3527 N. Southport – or visit them online at www.mboutiquechicago.com.